The 207 Series is a four-door commuter-type electric multiple unit developed by JR West as its first new commuter train after privatization. Originally designed to replace the aging 103 Series trains built during the Japanese National Railways era, the 207 Series was the mainstay of JR West's commuter train fleet until production switched to the newer 321 Series. 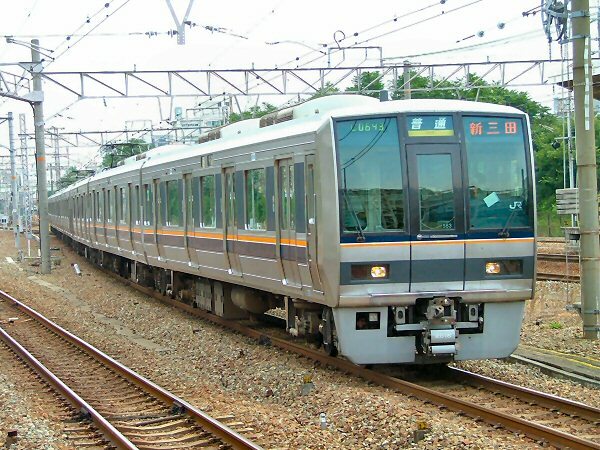 All are controlled with variable frequency drive, with earlier trains using GTO thyristor elements and newer trains with IGBT elements. The original prototype used a combination of chopper control and power transistor element variable frequency drive. Body construction is of stainless steel. The 207 Series has become somewhat infamous in Japanese media due to its involvement in the Amagasaki rail crash that killed 107 people. Following the accident, all 207 Series trains were given a new paint scheme. 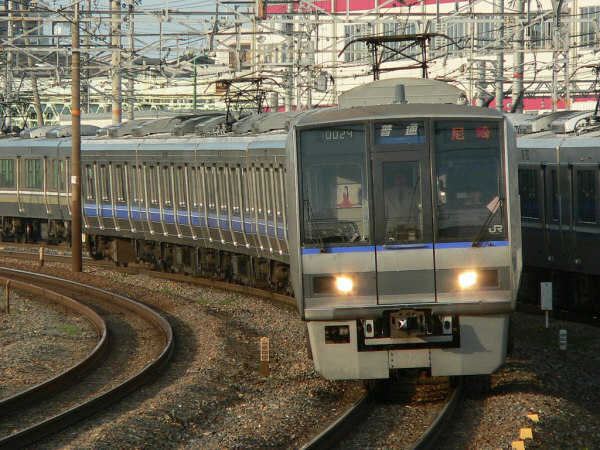 Though it shares the same name as the JR East/JNR 207 Series, the two trains are unrelated.